Former Nigerian internationals, Joe Erico and Joseph Dosu have disagreed with Coach Gernot Rohr's over the reported goalkeepers crisis in the Super Eagles as the team prepares for the Africa Cup of Nations (AFCON) holding in Egypt between June 21 and July 19. Rohr recently said the Eagles have a goalkeeping problem ahead of the AFCON while disclosing his plans to send a goalkeeper trainer to Europe to drill Francis Uzoho, as was done before last year's World Cup in Russia. Speaking to The Guardian yesterday, Coach Erico disagreed that Nigeria lacked dependable goalkeepers for the AFCON, saying, "We have one million and one goalkeepers scattered around Nigeria. If we don't have goalkeepers we will not have qualified at all. That means we will be coming home with basketful of goals. I am not a believer in that school of thought. The handler should get one and really work on him," he said. Also speaking on the issue, Dosu said, "If the technical adviser can come out to say there is a problem in the goalkeeping area in the Super Eagles then it means he doesn't have confidence in the goalkeepers that we have. "I believe every goalkeeper in the Nigerian league is waiting for opportunities. 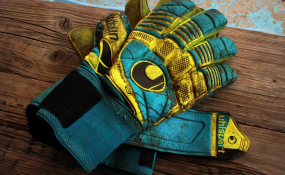 Goalkeeping I believe is all about confidence and it is the job of the coach to instill it in the goalkeepers any time they are in goal. But I think he shouldn't have disclosed that in the public. I hope it will not affect the goalkeepers," he said. "The Eagles have to work very hard even though the group on paper looks pretty easy. Those teams look small but they could be dangerous. "If we qualify from that group stage, we should be mindful of who we play in the second round. It is a long journey, though I am not saying that we are going to win, but it will not be a stroll in a park. If they work hard they can win," Erico said. Dosu said, "Our group looks easy, but I tell you football is no more what we used to think. We have to go out there and work for 90 or 120 to qualify from that group. If we believe that because we have Madagascar, Burundi that we are going to qualify easily then we might find ourselves in a very difficult situation.